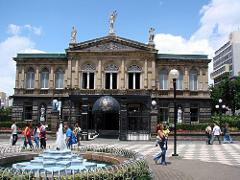 Visitors will be dazzled as they enter San Jose, the vibrant, cosmopolitan capital of Costa Rica. From the seed to the cup, at Doka Estate you can learn about the production, the harvesting, the processing plant and the roasting of the grain. Chills and thrills. 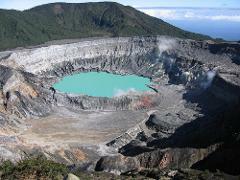 The spectacular view of this volcano, which awaits you from the 11,300 ft. summit, will never be forgotten. 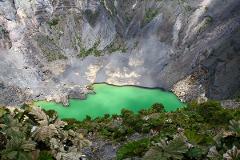 Towering to 9,000 ft., Poas is a phenomenon of nature and its crater is the widest in the world. 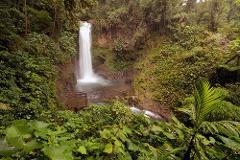 A natural park where you can walk through spectacular trails that will take you to the White Magic Waterfall. 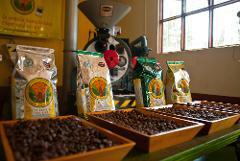 A quick visit to the Volcano, follow by a coffee tour that will end at the beautiful waterfalls La Paz. 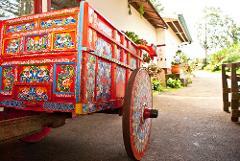 A combination of tradition and authentic Costa Rican culture. Meet the ongoing effort that has enabled people of this region preserve their traditions alive and grow in their families. 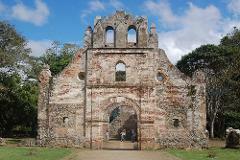 A journey from San Jose to Cartagovisiting a few towns for its history, culture and impressive views. 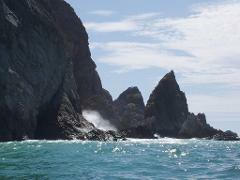 A seafood buffet, a cruise among more than 7 islands, and time for snorkeling, shell collecting or just plain relaxation. Visitors will enjoy the most complete experience possible, as they will literally fly through the forest. 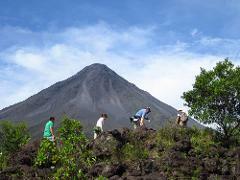 Enjoy the most extraordinary view of the Arenal Volcano on a gentle Hike follow by a relaxing soak at Baldi Hot Springs.